I have always thought the saying “Third Times a Charm” to be just a bit odd. Why should it take you three times of doing something before it becomes a charm? Shouldn’t the first time be a charm? Are we not expecting excellence from the very beginning? In my mind-set, I do everything in my power to do something right…and do it right the first time. A few weeks back, Burger King launched its Summer BBQ menu featuring BBQ inspired options, Bacon Sundaes and Sweet Potato Fries. In the instance of my eating of these said Sweet Potato Fries, I truly got to experience Third Times a Charm. 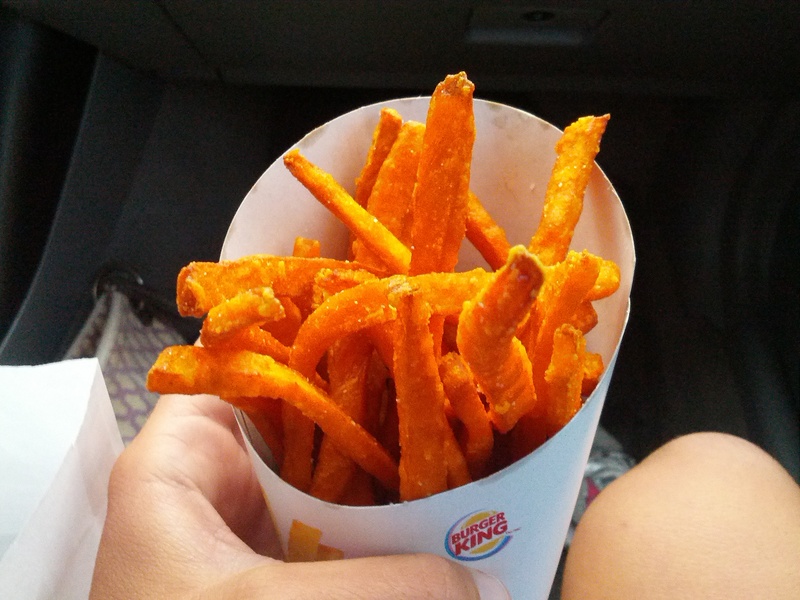 As soon as I heard that BK would be launching Sweet Potato Fries, I was pretty stoked and ready to go get them as quickly as possible. My first chance came about on a Friday night around 9:00pm. Arriving to the BK at this time, I was really not expecting the fries to be good. I mean, how good could an item be at 9:00pm? Plus, BK closes pretty early, so I knew these fries would be old. And sure enough, they were not all too fresh. On the first occasion, the fries were crazy salty and not good at all. The second occasion came within a BK restaurant around 6:00pm on a Friday night. While the fries were less salty than the first visit, they were really unimpressive. After eating them, I really had no reason to have them again. Yet, they were sweet potato fries and hold a special place in my heart so, I decided to give them another go around. And good thing I did because, jeez, the Third Time was a C-H-A-R-M.
My third attempt to these fries came via the drive-thru, around 8:00pm on a Friday night. I placed my order, drove up to the window and waited a few moments. 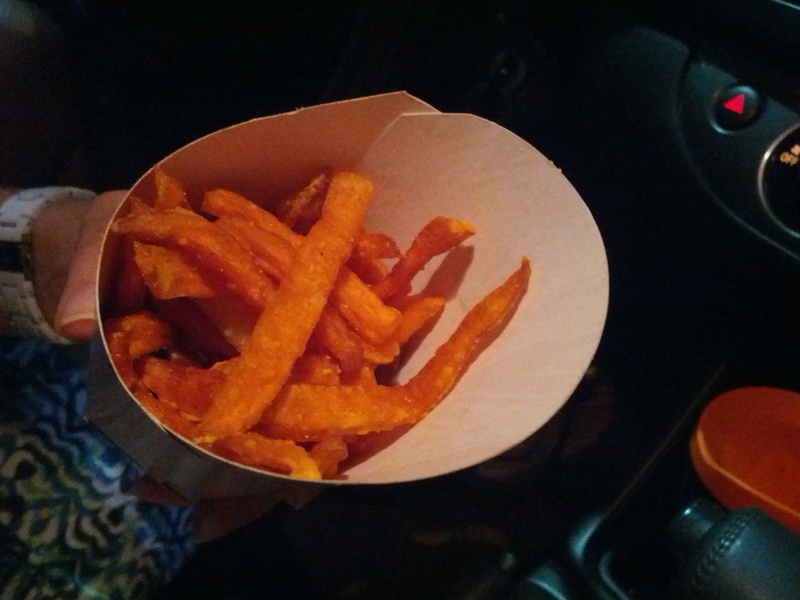 The Sweet Potato Fries arrived to my car and were piping hot. This is the first time of my 3 attempts that the fries were actually hot. I had to wait a few moments for them to cool off before I could even begin eating them. Once I had my first few fries, I was in love. Every fry varied in size yet were all cooked evenly. I didn’t find any ‘squishy’ or ‘crispy’ fries in the batch. Every single fry had a slightly crisp exterior and a gooey, soft interior. While gooey sounds as if it could be a negative, it is not in the case of sweet potato fries. Rather, it is exactly how they should be. The fries were just lightly salted which was perfect – sweet potato fries really need no salt in my mind. As I ate the fries, I loved the flavor of them more and more. 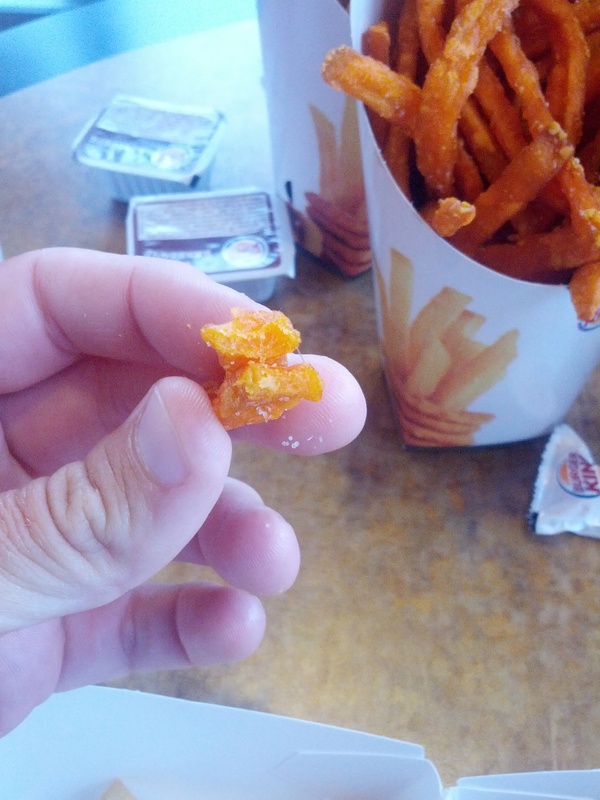 While the flavor of sweet potatoes was relevent to the fry, they also had your typical fry flavor. I really enjoyed all of my fries. There of course is no reason for any extra seasoning or dipping sauces – the fries are legit all on their own. I really appreciated the simple and pure flavor these fries possessed. BK did not try to re-invent the wheel with these – they kept them basic and simple and oh-so-delicious. 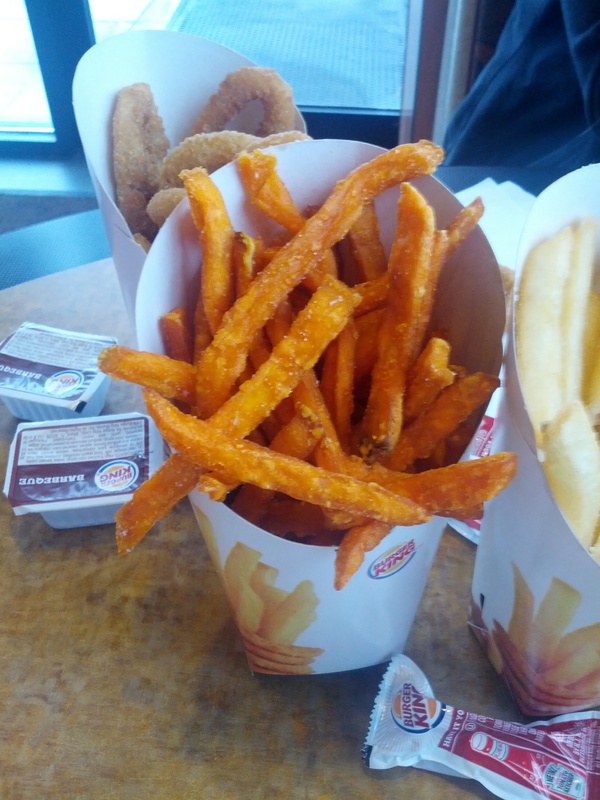 I am really hoping that BK decides to keep these sweet potato fries on their regular menu. This is an item that I really don’t understand why fast food chains have not yet implemented. I have always loved sweet potato fries and their popularity, is only continuing to increase. It’s a good thing I decided to keep trying these fries…it’s like I knew they would be good, I just needed a chance to find out. While I will continue to strive for excellence and nail things the first time, I guess in some cases – as in the Sweet Potato Fries at BK – Third Times a Charm.